Tottenham Hotspur can defeat Barcelona at the Nou Camp on Tuesday to secure a place in the Champions League knockout stages, their upbeat coach Mauricio Pochettino has said. 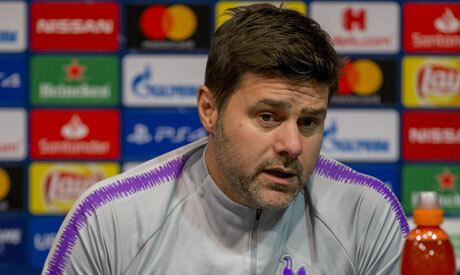 Pochettino’s opposite number Ernesto Valverde said earlier on Monday that he would make a number of changes to his team with Barca already qualified as group winners but Tottenham's Argentine coach is taking nothing for granted. “We’re going to be ready to compete in the best condition that we can,” Pochettino told a news conference on Monday. “I’m optimistic, I think we come here at our best and we need to prepare and think about the game we are going to play, not what Barca will do.